Food Cost Wiz: Is My Food Cost Too High? Some of this month's emails have questions regarding a food cost benchmark. Generally, you will meet many operators who have been trained to cost their menu items with all garnish, sides, and sauces. They then multiply the cost by a factor of 3 to achieve a 33% food cost. This method won't maximize profit. 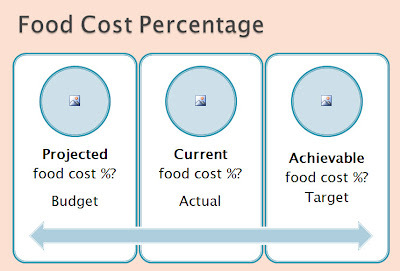 If you use a 33% food cost target, how do you treat monthly price fluctuations, shifts in guest preferences, and a myriad of other variables which impact the food cost formula? 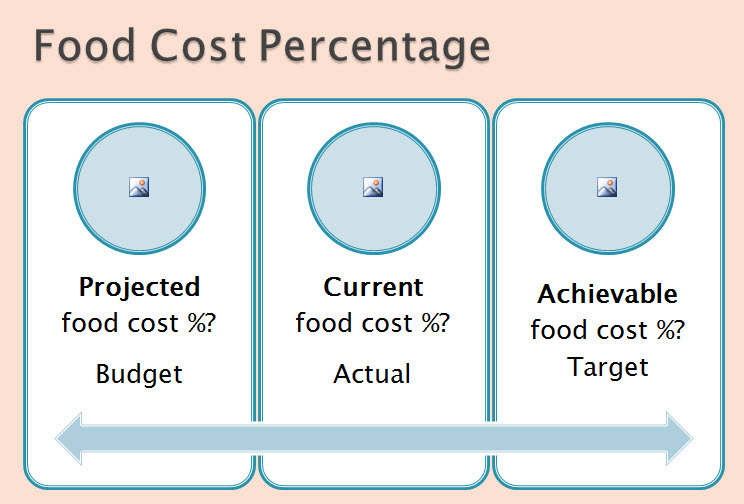 Use the food cost target as your projected food cost but take a hard look at the actual results. Your food cost is too high if you haven't implemented tight portion control. Maybe your garbage bags are loaded with spoiled food due to ordering too much product. Your cost is too high. Try to locate all the food cost issues in your restaurant. These are opportunities to improve. Your food cost percentage does depend on your menu pricing strategy. Your pricing factor may not be 3 times the recipe cost. There are sophisticated menu pricing models which are designed to increase gross profit in dollar terms. Before the ink on the new menus is dry, the recipe costs used in your model will have changed. Use your current food cost as the guide. Look for ways to improve. Create simple action plans. Improve by executing the plans. I would like to go into a bit more detail about other factors than just the cost of ingredients that should be considered when calculating menu prices... this would be the cost of labor, the prices your competitors are charging for similar items, and maybe some psychological factors (where customers perceive certain prices as a different height than they really are - that's why supermarket prices often end on a 9). Depending on where the bottlenecks are in your restaurant, you may also consider the average time the customer takes to consume that item (so that the table stays occupied). Especially, I think labor costs are just as important as the ingredient costs because they are roughly the same value per item in average. If you factor all this in, you will find that the actual food cost percentage should be higher or lower, depending on how complicated an item is to prepare. For instance, a glass of tap water would only have minimal food costs, but might have higher labor costs (in the magnitude of about 4-6 cents for the U.S.A, depending on who is involved in pouring the drink and assuming that it takes roughly a minute to take the order, pour and serve the drink and return and clean the glass). As for food, convenience food (not that I would encourage any restaurant to use it) would typically have a higher food cost than freshly made food because the labor cost associated with it would be lower. For instance, if you buy in a ready-made cake (i.e. a wedding cake) and just slice and serve it, the cake would typically have a higher food cost percentage than a cake which is done in-house, in your kitchen, because the percentage of the work of baking the cake, in the first case, is included in your buying price, while in the second case, it is incurred in your kitchen, by your staff, and thus not included in the buying price. Thank you for an excellent comment. I think your points are fantastic. In particular, the linking of food and labor costs is probably most important. I would welcome others to comment regarding menu item alternatives which take into consideration competitive pressure, production labor costs and the food cost. In this volatile environment, I believe restaurants can benefit greatly by increasing production labor cost in order to hold food cost volatility in check. The more you can use lower the cost of high cost ingredients, the greater the shelter from cost volatility. The main reason is the very low increases restaurateurs are absorbing in the labor market.